Where do you prefer to receive your information? Where are you currently receiving information? Needless to say, many employees feel that they are not hearing enough from their managers. Remarkably, over my 35 years of management consulting, not one organization I worked with inverted that communication gap, where employees would essentially say “we hear way too much from our manager.” Not one client out of roughly 10,000 clients. If you want further evidence that managers under-communicate, carefully watch your managers’ default actions at the end of management meetings. Most managers’ default is to simply go back to work, as opposed to holding a “huddle” with their employees to share the news and information from the meeting. Knowing that the aforementioned manager communication gap is the primary employee complaint about workplace communication, you should remind every manager on your team to take the message out of the bottle and deliver it in person to their employees. The longest bottle voyage on record was a bottle known as “The Flying Dutchman.” It was launched in 1929 by a German scientific expedition in the Southern Indian Ocean. 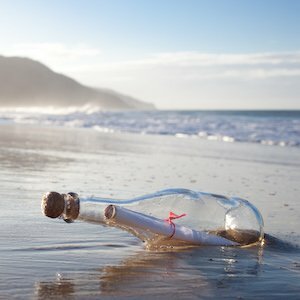 Inside was a message, which could be read without breaking or opening the bottle, asking the finder to report where he/she found it and throw it back into the sea. The bottle surfed an east-bound current which carried it to the southern tip of South America. There, it was found, reported, and thrown back into the ocean. Eventually, it moved out into the Atlantic Ocean and then back into The Indian Ocean where it remarkably passed by the exact spot where it was originally dropped. Its final resting place was on the shores of Western Australia. The bottle traveled an amazing 16,000 miles in 2,447 days (a little over 6.5 years). Certainly a very respectable journey. In 1953, a bottle was found in Tasmania 37 years after it had been dropped overboard by two Australian soldiers on a troopship bound for France. Astoundingly, this bottle was found by the mother of one of those Australian soldiers, who instantly recognized the handwriting of her son who had been killed in action in 1918. Remarkable. Source 1: HR Solutions Employee Engagement Research Study. This entry was posted in Blog and tagged company culture, leadership on January 15, 2019 by Kevin Sheridan.